This post was written by Jake Durtschi, the owner of Jacob Grant Property Management located in Idaho Falls, Idaho. 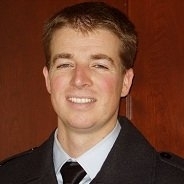 Jake and his team manage over 400 rental properties in east Idaho. He is a successful real estate investor and has been featured on several reputable industry podcasts. Check out his blog. Buying a home will probably be the biggest investment you ever make. For first-time home buyers it’s a huge achievement, but it’s not without it’s fair share of headaches. Finding the right property can take months, but that’s just the first step in what can be a long process. Buyers can quickly become blinded by granite and quartz counter tops, hardwood floors, and fenced-in backyards, without giving due diligence to proper financial planning. If you’re a first-time home buyer, here are 11 things you can do to get the best mortgage and save a lot of money in the long run. As a buyer there are also a number of things you can do to avoid mishaps that plague many when purchasing a home. Quite a few of these issues are based solely on the fact there is not much experience to draw on. This is where family, friends and a real estate professional can really come in handy to guide you into a smart home buying decision. Below we offer some of the best guidance for saving money when buying your first home! A mortgage financing contingency clause protects you, if say, you lose your job and the loans fall through or the appraisal prices comes in over the purchase price. Should one of these occur, the buyer gets the money back he/she used to secure the property, also known as “earnest money”. Without this clause, you could lose that money and still be obligated to buy the house. As you can imagine, this could be devastating. Generally, the more outs the better. When you buy a home you’re expected to pay a certain amount in closing costs before the transaction is finalized. These closing costs will typically include things like credit check fees, title insurance and appraisal fees. Closing costs generally add up to 2-5% of the cost of the home purchase price but will depend on the geographic location of the property. Buyers can sometimes see huge closing cost variations in small geographic areas. If you live in a low-tax area closing costs can be as low as 1%, but if you’re buying in a higher tax district you can pay upwards of 6%. On a $200,000 home, this can mean the difference between paying $2,000 in closing fees versus $12,000. For most first-time buyers, this difference can mean the difference between making an offer and moving on to another area. Do your homework and find out what the closing costs are in all the areas you are interested in buying a home. #3: Pay for Home Inspections…Please! During your house hunt, you may find a house that looks great at first glance. Then, as you walk through the home you notice problems – the floors squeak, there’s mold in the bathroom, the kitchen island is off-center. After walking through the house, you notice the house was touched up to pass buyer inspection. Pay a trained home inspector to look through the property. They’ll find problems you weren’t able to find. This could save you thousands in repairs down the road and make your first experience as a homeowner a complete nightmare. This is a common case in many fix-and-flip sales. The buyer quickly rehabs the property to turn a quick profit. Do your research and make sure you know about any problems before you sign. If there are problems, deduct expense estimates from your offer, or better still, get the sellers to pay for repairs before you buy. When you’re a first-time home buyer it’s easy to focus on the end goal without thinking of the big picture. Research your financing options with multiple lenders is the best way to get the lowest interest rates. I recommend consulting with a mortgage broker for this process. Don’t start shopping for a house before you get a pre-approval for a mortgage. Understand there is a difference between a mortgage pre-approval and a pre-qualification when getting a loan. You absolutely want to be pre-approved for the reasons mentioned! Saving a half a percentage point on a $200,000 home loan can save you $64/month, or $23,000 over the life of a 30 year mortgage. When you rent a home, you generally only have one payment – rent – and maybe renter’s insurance, which is typically optional. When you buy a house, your mortgage payment is just the beginning of a long line of expenses. You’ll have homeowners insurance and property taxes to consider. These vary largely based on your geographic location. For example, you can pay over $150 in monthly home owner insurance. In Idaho and Wisconsin you pay under $50 a month. Property taxes will also vary widely. When budgeting for the house, don’t stop with principal, interest, taxes and insurance; add in utilities, cost of commuting and upgrades. Call utility companies and get estimates on monthly bills. Also, see if they will transfer your service for free if you continue with them. It’s not uncommon to see an $800 mortgage payment turn into $1,200 with these additional expenses. Take it all into consideration when determining if you can in fact afford the home. Not doing your homework is a recipe for disaster. We call this being fiscally responsible as a homeowner. You should have a good grasp of all your external expenses. Typically, maintenance expenses will wind up being 2-3% of the sale price each year. Another way to measure is a percentage of the income on the property. For example, if rent is $1,000/month you may estimate a percentage for maintenance costs. Talk to a local property manager to find out what the average expense ratios are for the area. For a $200,000 home this means you could spend up to $6,000 a year for regular home maintenance, meaning you should be able to set aside $500/month to cover these added costs. You don’t want the A/C to go out in the middle of summer and not have the money set aside to repair it. Remember, just because you have a few months that you have no expenses doesn’t necessarily indicate less expenses in the future. Always budget for the average. Deferring maintenance may pad your pocket in the short term, but is sure to reduce long term performance of your property, with higher vacancy, less qualified tenants and increased risk of liability. On top of the laundry list of home owner expenses, if your down payment is less than 20% of the selling price, you may end up paying another fee – private mortgage insurance (PMI) – which is insurance for the lender in case you default on the loan. This can be upwards of $100/month depending on your location. Add this up, and it could mean thousands over the life of the loan term. If possible, save and put down the 20%. You’ll avoid PMI and likely get a better interest rate which can more than offset the cost of the initial added down payment. Do the math and see if it makes sense for you in the long run. Many states will drop the PMI after a set time period too, which is worth noting. When you are determining the amount of mortgage you are able to afford, base the number on much you are making today. Don’t base mortgage payment potential off you expected bonus or salary increase. No one can predict the future, and although you may be in a better financial situation a year down the road, nothing is certain. Make conservative estimates based on stable income sources. #8: Location, Location, Location…With A View? Buy the view, not the house. Have you ever heard of those stories of people going to court warring over a new development that will restrict their view of the lake or nature reserve. These people bought the house for the view, now within a year of moving in, the view is gone. Unless you own the land between your house and the view, never buy a house for the view. It could change overnight. Homeowner’s association fees can be as low as $0 or as high as a few hundred dollars per month, depending on where you live and the amenities/services offered. Another thing to consider is the long-term plan for your property. If your plan is to move out and turn the property into a rental property in the future, make sure you read the fine print in the neighborhood’s HOA agreement. Some HOA contracts will make it so houses in the neighborhood cannot be rented out. Not paying due diligence could prevent an owner from turning their property into a passive income stream. This means they would need to sell and buy another rental property incurring unnecessary closing fees, capital gains taxes and other expenses. This is a common one. Many first-time buyers fall in love with their dream home and neighborhood (or the idea of owning a home) and pay above their budget. This leaves them with zero money left over to do the things they like, or even worse, enough money to cover home, car and medical bills. This can quickly get ugly. Try living for 6 months on a pretend mortgage payment and look at your quality of life. This is the best way to gauge how much mortgage payment you can comfortably afford. Many first-time buyers go with the traditional 30-year mortgage setup, but if you can go with a different mortgage you could save a lot of money in the long run. An example is choosing a 15 year mortgage. You pay higher monthly payments, but will have the home paid off twice as fast with lower interest rates. If you can’t afford the 15 year term repayments, consider paying an extra $100 a month. Any extra you pay above the stated mortgage payment comes off the only principal. Instead of going out for dinner to that fancy restaurant each month, have a pizza movie night at home and pay a little extra off the principal each month. Do understand there are more loan programs available besides a conventional loan. One of these mortgage programs could be perfect for your financial situation! It’s not uncommon to negotiate the sale terms to have the seller pay part, or all, of the closing fees. At 2-5% of the sales price, this can save you several thousand dollars. Explore bundling your home, auto and other insurance together. Shop around, you can save hundreds of dollars each year if you find a good package deal. Make sure you know exactly what other homes are listed and selling for in the area you are looking to buy. This will give you a solid idea about how much you can expect to pay for a home of similar specs. This will make you more informed in the negotiation process and keep your agent honest when working through the terms of the contract. The bottom line, do your homework. Make sure you understand exactly how much you can afford, what the market is doing and look for ways to maximize your budget. Following our 10 money-saving tips for first-time home buyers will put you in a solid position to get the house of your dreams and still be able to afford to do the things you love! The best first time home buyer tips via Maximum Real Estate Exposure. 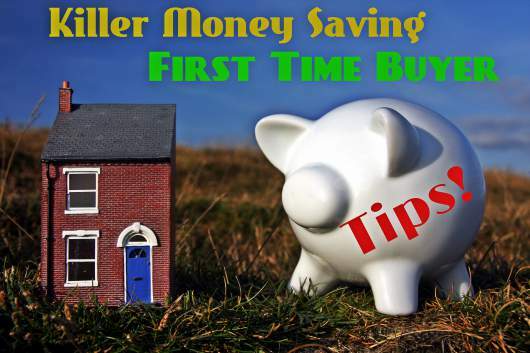 Seven great tips for first time home buyers via The House Call Blog. First time home buyer advice via The Rochester Real Estate Blog. How to buy your first house via Great Colorado Real Estate Blog. Use these additional helpful first time home buyer articles and you will be well on your way to having a very successful real estate transaction!